CANA. THE PROFESSIONAL CREMATION CURRICULUM. As the most progressive, nimble, and forward-thinking organization in the world of deathcare, CANA understands future trends and what they mean for your business. In support of our members and all those involved in cremation, we strive to provide the most current, relevant and practical cremation curriculum in the market. CANA offers a series of outstanding educational opportunities - from its annual convention and symposium to online education and webinars that help you learn best practices, stay current with your continuing education credits and expand your network. Thank you for joining us for our 100th Convention in Fort Lauderdale, Florida, July 25-27, 2018. Flip through our photo album from the event! The sessions presented at CANA's 100th Convention provided several key strategies you can employ in your business such as applying statistics, developing a cremation strategy, having a customer experience strategy and selling across multiple brands. Presentation recordings are available through the LMS. Save the Date for CANA's 101st Annual Cremation Innovation Convention in Louisville, Kentucky July 31-August 2, 2019. 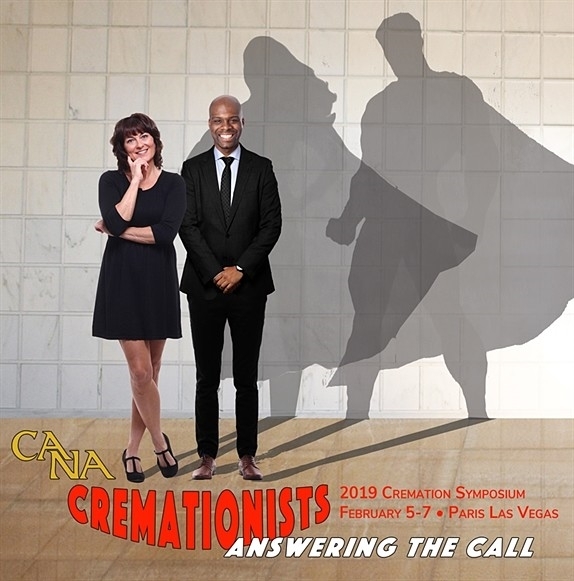 Thank you for joining us for the 2019 CANA Cremation Symposium and the Preneed Summit on February 5-7 at the Paris Las Vegas. A photo album is available here. You can access session recordings here. Information on the 2020 CANA Cremation Symposium will be announced soon.